New Chief Financial Officer appointed. 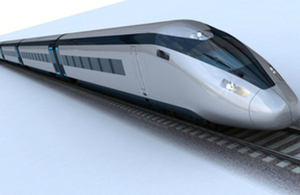 HS2 Ltd has appointed Steve Allen as Chief Financial Officer. Steve will join from Transport for London where, as Managing Director of Finance, he is responsible for business planning and financial control across £11bn worth of annual transport spending and £21bn of capital investment. At TfL, he leads a major operating costs reduction programme, corporate finance activity and their IM strategy. He is also responsible for TfL’s commercial function and maximising revenues from commercial sources such as property and advertising. Steve started his career at the Department for Transport and went on to work for Citigroup and Abbey National before joining TfL in 2003. On a project as large and complex as HS2, rigorous financial control is essential. That’s why I am delighted to welcome Steve to the team. His experience of delivering multi-billion pound investment programmes will be invaluable as we move towards the start of construction in 2017. HS2 is an ambitious, innovative and challenging project that promises to transform the experience of rail travel for huge numbers of people across the UK and provide a major boost to economic growth. I am excited to be joining at such a critical time for the project.